Hosting’s not a bad way to make money. It’s not a stress test like cooking, running the register, or waiting tables. You need to show the waitstaff manager she really wants you. She should look at you and see the genie from Aladdin or Batman’s Alfred. Just find the qualities that make you great to work with. Then use the right layout. The interview will drop into your lap. A hostess resume example better than 9 out of 10 others. How to write a hostess resume that gets more interviews. Tips and examples of how to put skills and achievements on a host resume. How to describe your experience on a resume for a hostess to get any job you want. 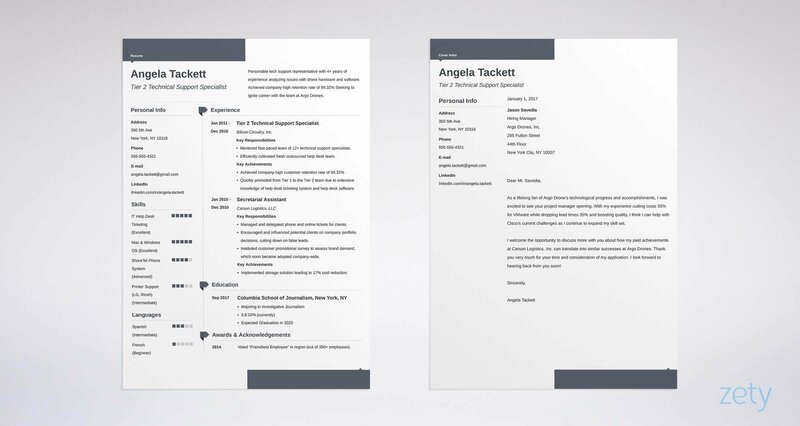 Here's a restaurant hostess resume template made with our online resume builder tool. Sample Hostess Resume - See more templates and create your resume here. What's the Best Format for a Hosting Resume? The waitstaff manager—we’ll call her Tara—knew she wouldn’t hire you with a single glance. It’s the layout of your hostess duties resume. If you don’t use the right hostess resume format, you’ll look sloppy and disorganized. Tara doesn’t want to hire that. Pass the first test with the reverse-chronological resume format. It serves your most recent achievements first. Show Tara you’ll make her life a breeze. Use the best resume fonts, big headings, and plenty of white space so she doesn’t have to squint. Check your spelling. Then re-check it. One typo can mean the difference between hired and in the food waste dumpster. Last, save your hostess responsibilities resume as a PDF. Today’s PDFs are machine-readable. They won’t turn to spaghetti when you send them. Check the job ad first to see if it says, “no PDFs.” If not, you’re in the door. Hostess Definition: A front-of-house restaurant employee who meets, greets, and seats new guests. What does a hostess do? She may also handle phone reservations, bussing tables, and general dining room organization. Pro Tip: Is this your first hostess job? Use the combination resume format. It welcomes experience from other jobs into your hosting resume. Let’s get back to Tara, the waitstaff manager. She’s got a stack of hostess duties resumes up to the sprinklers. You need to stand out like a 40,000 candlepower Open sign. Do that with a hostess resume objective or resume summary. Not your first ribeye rodeo? Then use a resume summary. It uses your experience to make the manager want to hire you. Is this your time dealing drinks? Use a resume objective. It makes your passion the centerpiece. Load either to the rafters with achievements. These first two restaurant hostess resume examples clear the clutter. High-energy hostess with 2 years of experience. Handled all host duties at a fast-paced restaurant, including meeting, greeting, seating, cleaning, and organizing. Skilled in customer service and restocking. That's not as bad as a dropped tray, but it won’t usher in a busload of interviews. Energetic hostess with 2+ years of experience. Seeking to wow customers at Steve's. At Pizza Hut, seated guests 25% faster than average and scored 100% on menu knowledge and customer service tests. Commended 5x by management for efficiency and friendly personality at The Weathervane Inc.
Mouthwatering. See those achievements with the numbers? They’ll make managers want to hug you. But what if your experience is still out in the parking lot? See the junior host resume examples below. If your hostess experience still needs setup, try a hostess resume objective. Physically fit hostess with a passion for customer service and high-level people skills. Very hard worker and excellent communicator. Eager to train and start working. As long as you’re the only applicant, you’re hired! But what if someone else’s hosting resume has passion plus experience? Don’t run for the exit yet. You can still get the interview if your hostess duties resume shows achievements. Enthusiastic hostess with proven interpersonal skills, seeking to wow customers and management at Pizza Hut. Have filled in as hostess several times at Lobster Trap, at 4 sports dinners during high school, and at 7 charity dinners. Pow. The manager just dropped her breadstick basket. Your stellar hosting resume objective blew her apron off. Even though you’ve never had a hostess job. Pro Tip: Don’t know what to put in a restaurant hostess resume summary or resume objective? Write it after the rest of your resume. It’ll almost write itself. Showing experience the wrong way will make you blend in like a floor tile. Use measurable achievements to get attention like Justin Bieber in an Applebee’s. Put your most recent job first. Add 3-5 resume bullets. Follow the next of our professional hostess duties resume examples. Seated guests 25% faster than average for our restaurant. Assisted with setup of new seating app, resulting in 30% higher customer satisfaction scores throughout the restaurant. Scored 100% on menu knowledge and customer service tests. Zing! The waitstaff manager just stopped watching Give ‘em the Pickle. Your professional resume for hostess jobs melted everything in the walk-in. Responsible for meeting, greeting, and seating all guests. Assisted with setup of new seating app. Participated in customer service and menu knowledge training. Bland! That host duties resume example couldn’t get you a job at a lemonade stand. Why not? Because it says you “did” things but it doesn’t say how well. Now—what if you have no experience at hosting jobs? 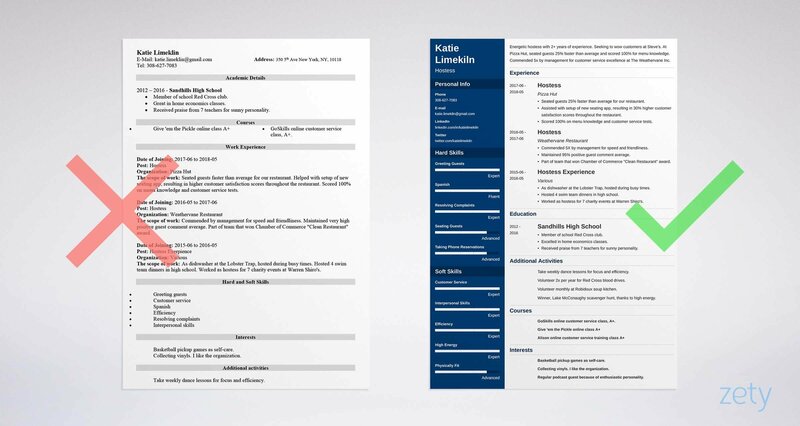 See these entry-level hostess resume examples. You don’t need hosting experience to get hostess jobs. You just need to show accomplishments that fit hostess jobs. Do this right and your first resume for hosting jobs will turn heads like a 40-gallon chocolate sundae. The next entry-level host resume samples lead the way. Hostess Experience: No official hosting experience yet, but I’m willing to learn on the job and I’m a fast worker. Whoops. The waitstaff manager just tossed you in amongst the compost. As dishwasher at the Lobster Trap, hosted during busy times. Hosted 4 swim team dinners in high school. Worked as hostess for 7 charity events at Warren Shiro's. Wow. Looks like you’ll be busy Friday nights. Pro Tip: A hostess should be cheerful and efficient. Can you show you’ve worked with the public in a friendly way? Even helping out at a festival or other event looks great on a resume for hostess jobs. You’re a hostess. Why would you need education? Every resume needs education. Even hosting resumes. Don’t just list it. Use it to prove why they should hire you. If you don’t, it’s like having a comfy pair of Skechers and just wearing them to watch TV. But add accomplishments that fit the job like a baby’s bottom fits a booster seat. Both these host resume samples are for a job that needs (1) customer service skills, (2) a strong work ethic, and (3) a positive attitude. (1) Worked with the public as member of school Red Cross club. Excelled in home economics classes because of (2) strong work ethic. Received praise from 7 teachers for (3) sunny personality. Pow. The employer’s picturing you making her life easy. Yuck. That applicant could be anyone, including The Annoying Orange. Pro Tip: Do you need a good GPA for a hostess duties resume? No, but if it’s high, show it. It can prove you’re a hard worker. Otherwise, scrape it in the food waste bin. If you convince the waitstaff manager you’ve got the skills, she’ll say those magic words. Not by listing a zillion hosting skills. That won’t impress her. Pick the few she wants and prove them. If you can, she’ll read your hostess resume and picture Diana Prince. The professional host resume examples below show how. Required Hostess Skills: (1) Speed, (2) Customer Service, and (3) Cleaning Skills. Put them in your hostess resume skills list. Add a couple so you’re not just pandering. Commended 5X by management for (1) speed and friendliness. Maintained 95% positive guest comment average because of strong (2) customer service skills. Part of team that won Chamber of Commerce (3) "Clean Restaurant" award. Do that, and the interviews will roll in like baked potato orders at a Texas Roadhouse. Need hostess resume skills and resume keywords to start? Use the host resume skills list below. Add to it from online hostess job descriptions. Pro Tip: You can’t actually skills on a hosting resume. But you can prove employers ought to interview you. Don’t lie or they’ll catch you when you sit down for the interview. Add "other" sections to your hostess resume most people don’t know how to write. See the two sample hosting resume sections below. Fun—but what does it have to do with hostess jobs? The other sections on your hosting resume should make the employer’s arm hairs stand. Take weekly dance lessons for focus and efficiency. Volunteer 2x per year for Red Cross blood drives. Volunteer monthly at Robidoux soup kitchen. Winner, Lake McConaughy scavenger hunt, thanks to high energy. GoSkills online customer service class, A+. Basketball pickup games as self-care. Collecting vinyls to practice organization. Regular podcast guest because of enthusiastic personality. See that? Everything there shows you’d be the best hostess in the world! 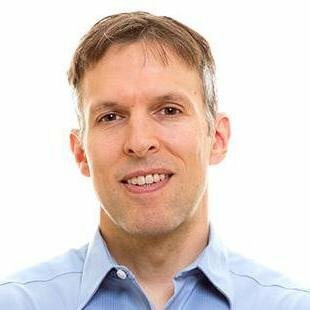 Don’t have enough extras for your resume for hosting jobs? Take a couple online classes. Sound hard? It’s not! What About a Hosting Cover Letter? Do you need to send a cover letter with a hostess resume? Only if you’d like the job. Most hiring managers won’t read a host cover letter. But almost half won’t glance at your hosting resume without one. Show you know the restaurant’s needs and that you’ll meet and greet them like a pro. How can you do that in a hosting cover letter? I loved hosting at Pizza Hut, but Steve’s restaurant offers more. Steve’s has a more complete dining experience that I think would fit perfectly with my higher-level hostess skills. Pro Tip: Follow up on your hostess resume and cover letter three times. Do the first in three days, the second in a week, and #3 in 2–3 weeks. Isn’t it easy to add contact info to a hostess resume? Check your online presence first. That’s as important as not seating someone in the restroom. Why? That Mardis Gras pic on Facebook from three years ago might cost you the interview. We’ve got you covered with our guide to check social media accounts. Pro Tip: Should you put your picture on a restaurant hostess resume? Not in the U.S. Pictures mess with applicant tracking systems and can get your resume tossed out. Instead, have a LinkedIn profile and put it on your hosting resume. Write a host resume objective or resume summary. Garnish each with measurable accomplishments to give the waitstaff manager the hungries. Read the hostess job description for resumes closely. Match your hostess resume bullets to it to prove you’re the next Pepper Potts. Add other sections that show you’re more than just a pair of sneakers. List interests, volunteer work, fitness, or anything that gets ‘em nodding. Write a hostess cover letter. Make it passionate and personal. Use it to make the hiring manager stop slouching and read your hostess resume. Do you have questions on how to write a great resume for a hostess? Not sure how to describe your skills or achievements? Give us a shout in the comments! We’d be happy to reply.